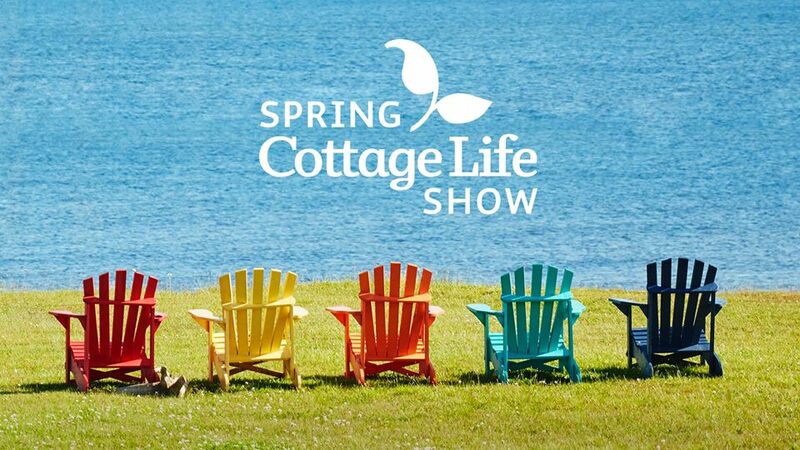 The Spring Cottage Life show kicks off next weekend at the International Centre in Mississauga. It is your one-stop-shop for all the insider tips and tricks to get ready for cottage season in Ontario and celebrate the start of everyone’s favourite time of year. Meet the Brojects and other TV personalities! Kevin and Andrew Buckles, beloved TV hosts aka “The Brojects” will be on-site this year on Friday, Saturday and Sunday to take pictures and chat with fans about their brand new TV series, Brojects: Built for the Weekend, airing this month on Cottage Life. HGTV Canada’s Bryan and Sarah Baeumler, and the hosts of brand new series, Lakes Docks & Decks will also be at the show this year presenting on the main stage on Thursday, Friday and Saturday. Scales Nature Park will be bringing a bit of the outdoors to the show with a great collection of turtles, snakes and fish. This family-oriented activity will include helpful tips on how to make your cottage more amphibian friendly, as well as further information on the Scales Nature Park team’s conservation efforts. The Spring Cottage Life Show is the largest gathering of cottage real estate agents in the province with over 400 realtors in attendance from all over Ontario! It’s the best opportunity compare hundreds of listings all under one roof. Prolific Toronto wedding-planner and host of Makeful’s newest TV series Crazy Beautiful Weddings, Lynzie Kent (@lovebylynzie) is teaming up with Cottage Life Editor-in-Chief, Michelle Kelly, to discuss best practices in planning a cottage wedding. From planning transportation to creating rustic dockside decorations, Michelle and Lynzie will be on the main stage sharing valuable information on how to plan your dream celebration on Friday and Saturday. The Dock Party is the social hub of the show! Drink tickets are sold to benefit the Cottage Dreams Cancer Recovery Initiative and the bar includes a great selection of local beverages, from suppliers including Muskoka Brewery beer, Social Lite, Top Shelf Distillers, Georgian Bay Spirit Co., and Walter All-Natural Caesar Mix. It’s the perfect way to break up your cottage season planning while supporting a great cause. Always a show favourite, the Model Cottage gives attendees a chance to tour a beautiful space, surrounded by 1,000 square feet of landscaped native plants, shrubs and trees designed by the Nature Conservancy of Canada (NCC).